This Oriflame Eyebrow Kit* (link here) has been my eyebrow saviour over the last few week. I have been experimenting with how I fill in my eyebrows - now I have blonder hair I've been seeing how darker, bold eyebrows look. I'm yet undecided. But anyway, this kit is great for switching up how you do your eyebrows. The two brown colours at the top and middle are the shadows and the bottom square is a setting wax. Having the two colours means you can mix them together to get the perfect shade - handy. The two brushes come with the kit in a little pull out tray, the black one is for the shadow and the white one is for the wax. Personally I'm not a huge fan of the brushes, I much prefer using my MAC eyebrow brush to fill in my brows and it is much better to use your finger to apply the wax. By using the wax with your finger it means that the natural heat from your finger warms the wax up so it works far better than using a brush. 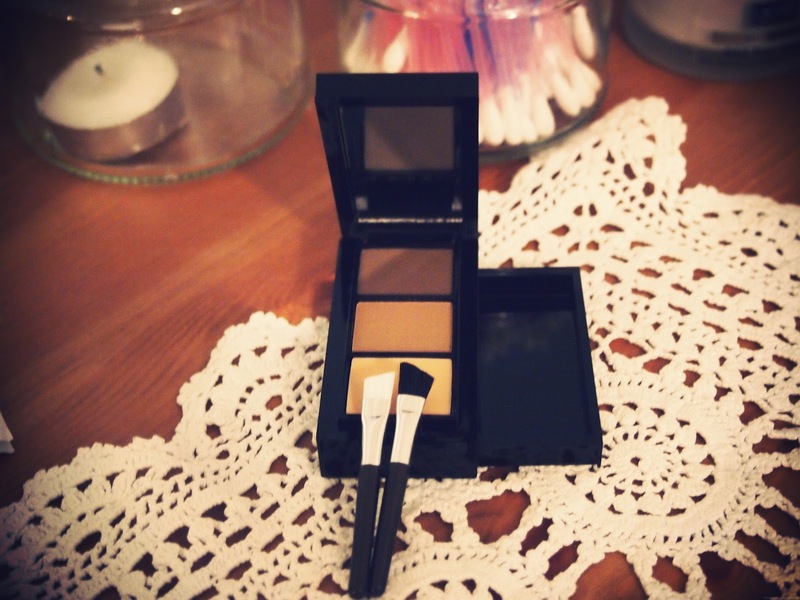 I think this is a good 'dupe' for the Chanel eyebrow kit (link here) which is a hefty £42.00. This kit is actually on sale for a mere £4.75 - I think the Oriflame brand is one to look out for, they have some lovely products on their website for really reasonable prices.